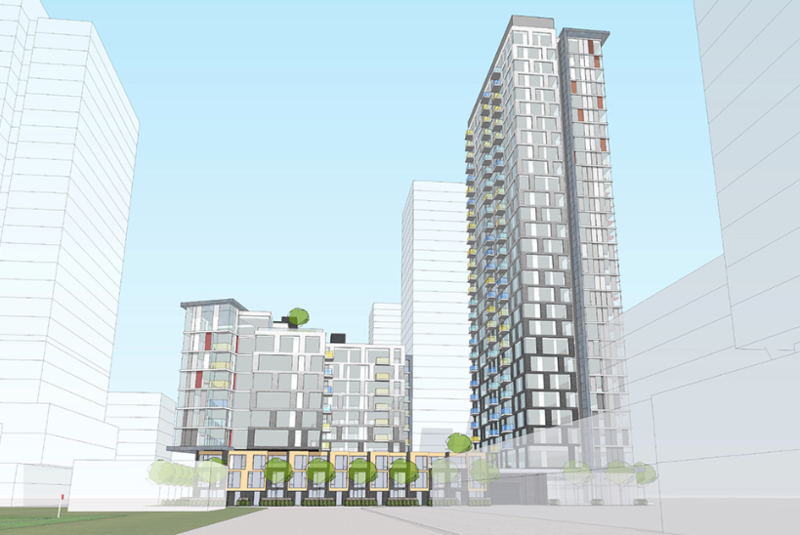 To obtain site plan approval for the construction of 29 storey TCHC rental housing building and 10 storey TCHC rental housing building containing 295 residential units, and 118 below grade parking spaces. Retail space will be provided at grade fronting on to Dundas St E.
They've certainly been going gangbusters with Phase III of late. The whole block is a hive of activity with the framing pretty much in place for the new Athletic Grounds, and prep continuing for housing to its north. Looks like construction will start shortly for this rental complex cornering Dundas and River. Good to see lots of 2- and 3-BR units. I like it! 3 bedrooms galore. 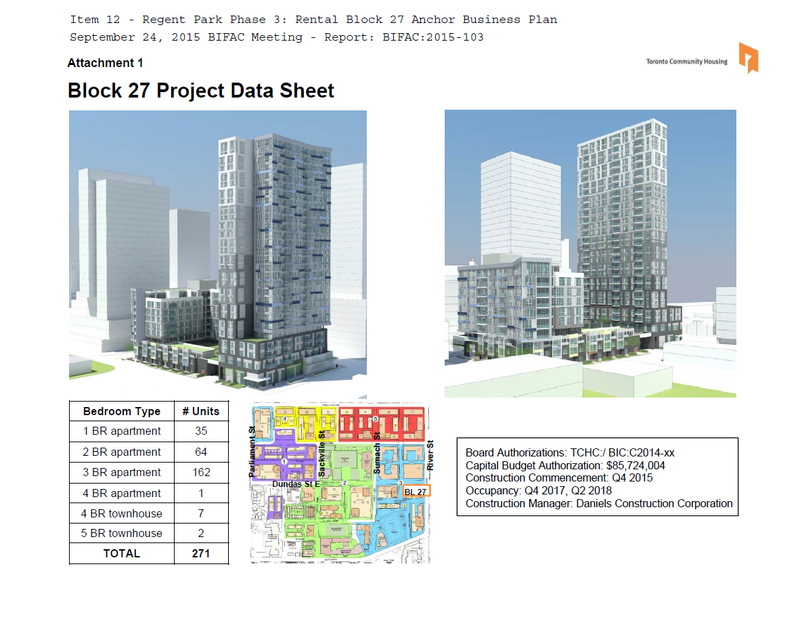 Description: Proposal to construct a 29 storey & 10 storey midrise above a 2 storey podium rental TCHC apartment with 276 units, 1 level of below grade parking, and commercial at grade. Regent Park, Block 27. Convenience address - 110 River St. The new apartment at the corner of River-Dundas reaches grade. Plus some shots of the fun newly-painted hoarding.